Shopping for Star Trek Mugs? Does your coffee cup entertain you? This one does! 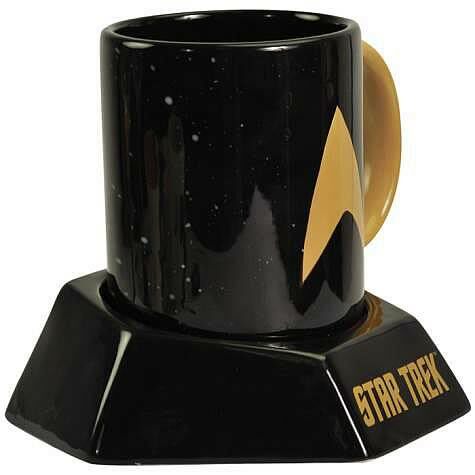 Measuring 5-inches tall, the 12-ounce Star Trek Mug with Sound Effects Base is fashioned of ceramic and features a photo-quality design of the Star Trek logo. Base of mug uses 3x "AG13" batteries so when mug sits on base it makes the transporter sound. Mug is dishwasher safe, but not the base. Beam one up right away! Ages 13 and up.